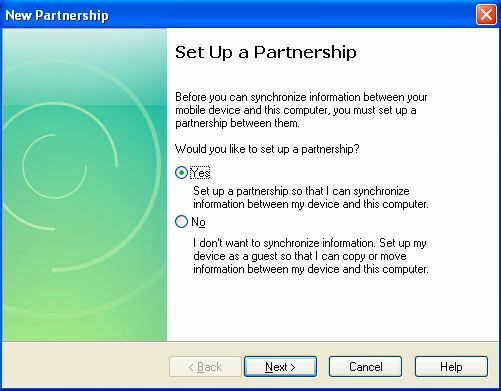 A pop-up window requesting to set up a new partnership comes up every time Colibri module is connected to development PC running Windows XP. 2.Extract the downloaded folder and double click on ActiveSyncKeys.exe. 3.Check the box next to Force GuestOnly connections. 4.Reboot the Colibri module. The New Partnership pop-up will not come now.